Andy Slavitt, former CMS chief under the Obama administration, is co-leading the project with Avia. Seventeen health systems have launched a national collaboration through the Avia innovation network to develop more effective ways of serving their Medicaid populations. System leaders will work with Avia to identify their biggest Medicaid challenges and develop and share solutions, starting with avoidable emergency department visits, behavioral care, substance use disorder and women's and infants' care. In some cases, Avia and the participants may work with venture capitalists to commercialize the solutions they develop. The five systems anchoring the Medicaid Transformation Project are Advocate Aurora Health, Baylor Scott & White, Dignity Health, Geisinger and Providence St. Joseph Health. Other participating systems include Allina Health, Memorial Hermann Health System, Navicent Health and Presbyterian Healthcare Services. The project will accept additional members. Most do not operate their own Medicaid managed-care plans. Andy Slavitt, who was acting CMS administrator during the Obama administration, is co-leading the project with Avia. He said the effort is badly needed because the U.S. healthcare system up to now has not prioritized meeting the needs of low-income and vulnerable populations. The participating systems have made a 10-year commitment to the project. "If you get 17 of the country's leading health systems to all adopt the best practices used by one or more of them and share them more broadly, you'd see amazing progress," he said. "These CEOs are doing something extraordinary that will do more to transform care delivery than any other initiative." The first project is helping patients get the care and services they need without clinically inappropriate use of the ED. That likely will involve better deployment of primary care services and social service systems, including use of navigators, said David Smith, who's leading the project for Avia. He anticipates holding the project's first action forum in the fourth quarter of this year to present key solutions. The collaborative hasn't yet decided on the second body of work to start in 2019, but Smith said the strongest contenders are substance use and behavioral health. Health systems are interested in participating because the number of Medicaid patients has grown, their health and social service needs can be high, and providers typically lose money on them because Medicaid payment rates tend to be low. "Medicaid is one of the fastest if not the fastest-growing areas of expenditure," said Jim Hinton, CEO of Baylor Scott & White, which runs a 45,000-member Medicaid plan in Texas. "We saw this as a great opportunity to interact with like-minded systems to learn what they've been working on and make our Medicaid program as efficient and effective as possible." Avia will work with a core team at each system to develop and implement solutions, with a system executive sitting on the steering committee. In some cases, project participants may work with companies, such as Purple Binder and Landmark Health, that have created programs for integrating medical and social services and addressing the social determinants of health for vulnerable populations, Smith said. In other areas, a participating health system may have implemented a solution that could be scaled and shared with other members of the collaboration. Then there are needs that haven't yet been adequately addressed anywhere. "If a solution doesn't exist, can we build one?" Smith said. 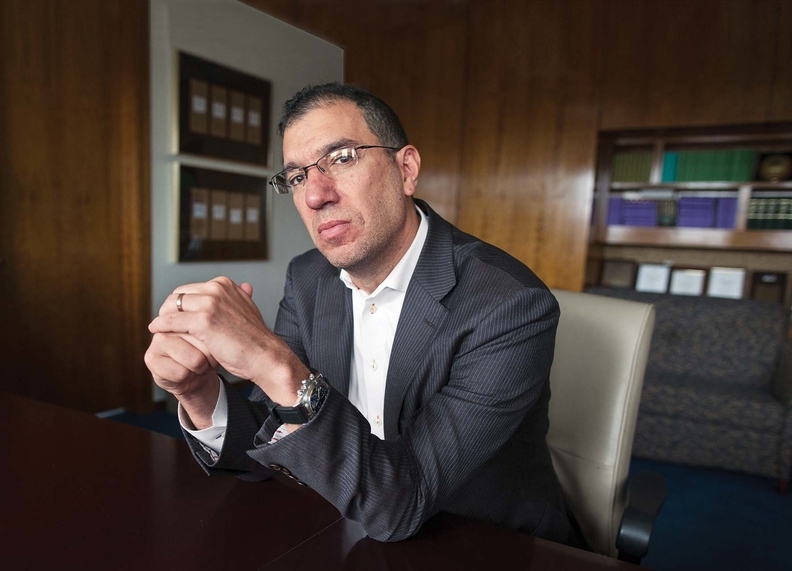 New solutions potentially could be commercialized through collaboration with Town Hall Ventures, a socially minded venture capital firm where Slavitt serves as general partner, or through other venture capital partners, he added.